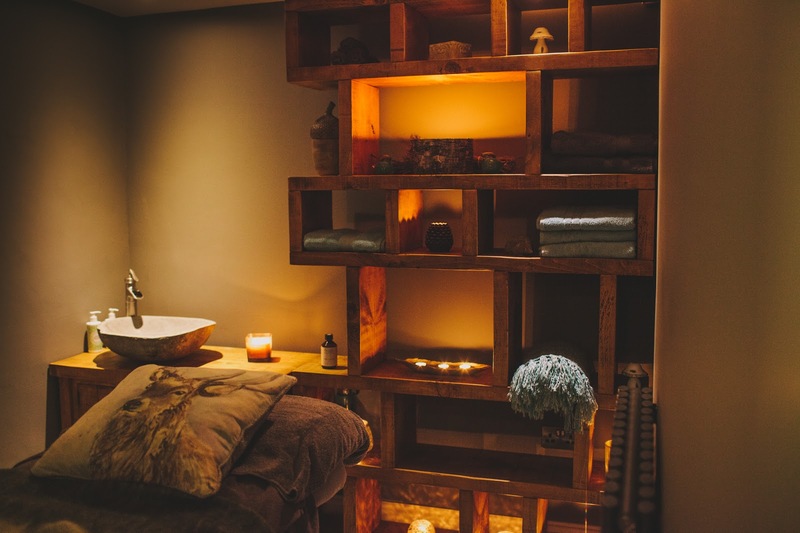 I need to tell you all about a very special facial I had last Friday. I was invited by the lovely Dr Hill at Hampton Clinic to go along for a Hydrafacial* which I'll talk about in a minute but first let's take in the location shall we! 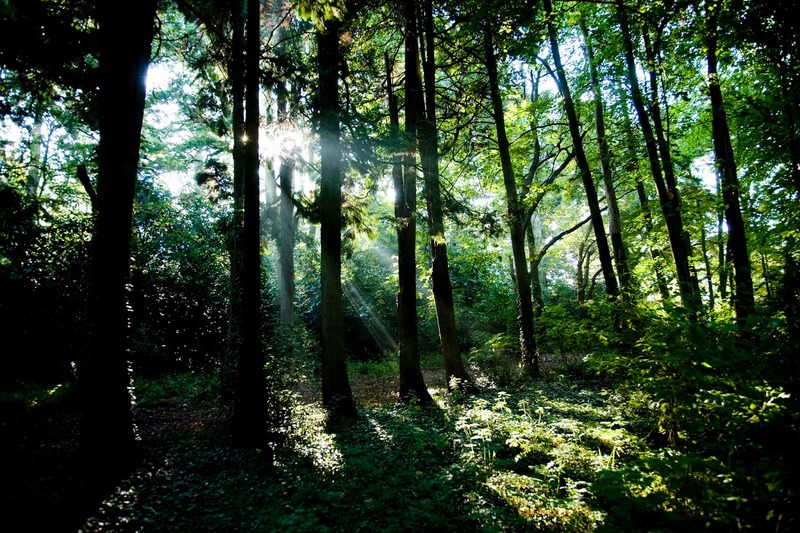 Hampton Clinic is situated in the grounds of Hampton Manor in the leafy village of Hampton in Arden which is in Solihull, West Midlands. Travelling from Leicester it takes me around 45 minutes which is nothing in the grand scheme of things and is so easily accessible from the motorways. The clinic specialise in aesthetic treatments, skin care treatments and beauty therapy, with Dr Hill carrying out all the aesthetic options. Dr Hill is extensively trained and is highly experienced in this area. Before opening her own clinic she was a GP for 20 years. The thing I love most about this clinic is that it is so private and discreet and stylish too. And.....how can you not start to relax the minute you roll up the long driveway?! First impressions are so important aren't they and I was not disappointed at Hampton Clinic. I was greeted by Cherie, the clinic manager, Dr Hill was also there. I felt at ease from the moment I walked through the door; it has such a warm feeling about it, more of a spa-type feel than 'just a clinic'. Feeling comfortable in any clinic environment or beauty salon is so important to me otherwise I just don't go back. Whilst I was waiting for my therapist I got chatting to Cherie about skincare [obviously] and it was just so nice, it just flowed, we talked about how skincare issues can totally knock your confidence, how important it is to have treatments that make you feel like a better version of yourself, rather than make you look like someone else. Quite why anyone would want to do that is beyond me, personally I don't even want to look younger, I just want to be a refreshed version of me! As far as I'm concerned, if my skin looks good, I feel good. Simple. We even got on to talking about my eyelashes and her asking if my lashes were my own [as a lot of people do! ], yes they are, did I have LVL on them, nope, and then what mascara do I use. I did of course dig out my favourite mascara to show her [a Kiko one BTW] and right after that Komal arrived to take me to the treatment room. So, Hydrafacial is one of the clinics most popular treatments and I can see why. A Hydrafacial is more than just a facial, it takes having a facial to another level. It's a non-invasive, multistep treatment that delivers real results without any downtime. DETOX - lymphatic drainage helps to improve circulation of the lymphatic system. 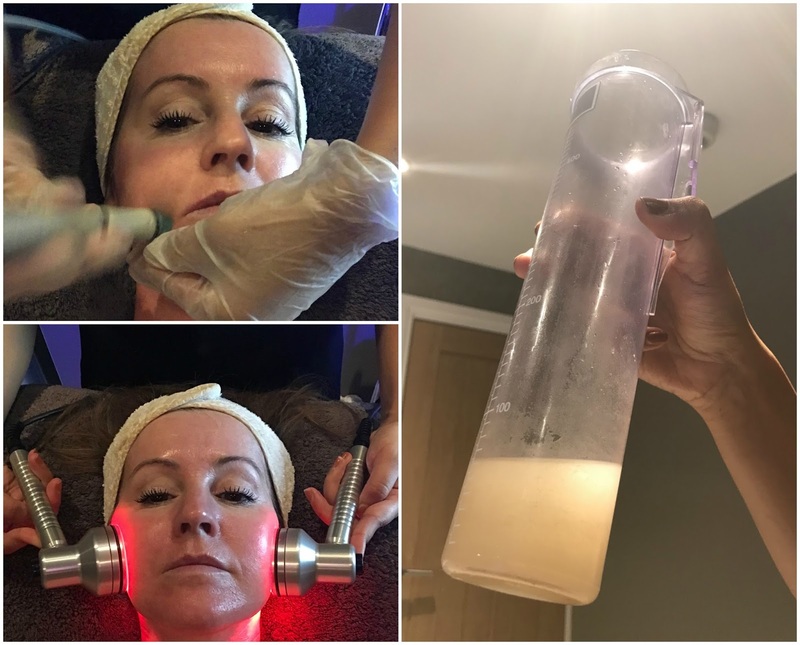 Increasing blood flow to the area, bringing oxygen to support the cells whilst also bringing fresh clean lymph to restore hydration, tone and firm the skin and eliminate toxins. CLEANSING & EXFOLIATION - dead skin cells are exfoliated to reveal healthy, new skin whilst, simultaneously, a serum containing lactic acid, glucosamine and many other botanical extracts are delivered deeply to cleanse and nourish the skin. BRIGHTENING AGENT - gentle glycolic and salicylic peel solutions help loosen debris from pores ready for the extraction stage whilst brightening the appearance of the skin. EXTRACTION - helps to remove blackheads and draw out impurities in congested areas using a serum of natural salicylic acid and honey extract. 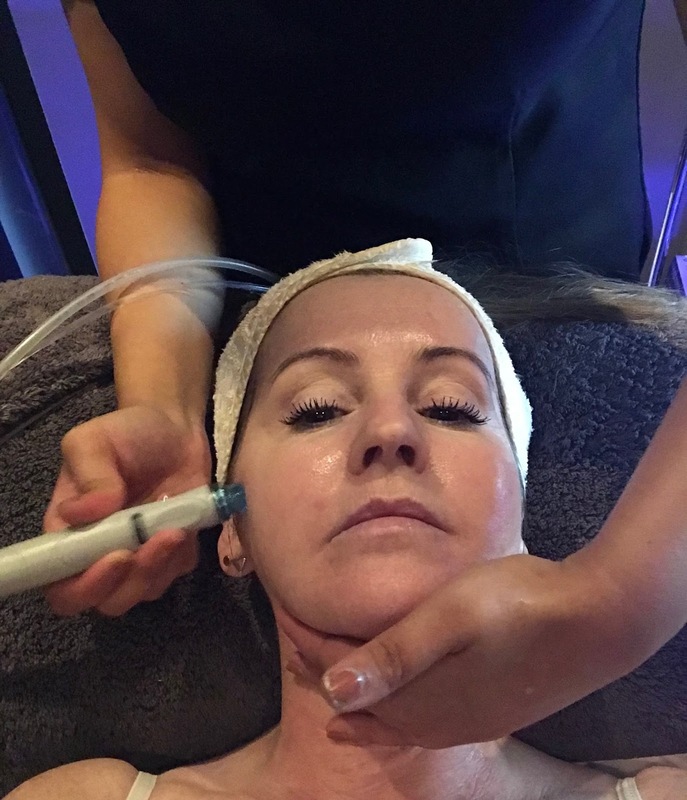 HYDRATION - Hydrafacial vortex-fusion technology uses high pressure to infuse a cocktail of hydrating hyaluronic acid and the most advanced and powerful antioxidants, peptides to replenish the skin, leaving it hydrated, plumped and up to optimal skin health. REJUVENATION - red and infrared LED light is used to reduce redness and stimulate collagen. It also supports the natural production of vitamin D, leaving your skin healthy and glowing. First off we chatted about my skin, the condition, how it behaved [it doesn't, it's all over the shop] with Komal coming to the conclusion that is was dehydrated, which it most certainly is [with lots of spots thrown in for good measure]. We then got started. Komal explained the process and each step as she went along and whilst none of it was uncomfortable at any stage it's not what I would call a relaxing facial as such, not like, let's say, an aromatherapy facial, but as I said earlier this is one that gives results so for me this far outweighs any relaxing facial treatment! I enjoyed every step actually because you can really feel it working. If you're worried about the peeling solutions don't, they give a mild tingle but nothing more. I loved the extraction process, sucking out all the nasties!!! The solution in the bottle is mostly the serums I think but with dead skin, impurities and everything else that's been collected. Nice. After the LED lights Komal popped on some moisturiser and an SPF and explained aftercare and that I should drink plenty of water, something I don't do enough of and I'll hold my hands right up to that! I had no plans for the rest of the day or that evening because I didn't want to pile a load of make up on top, I mean you could do I guess if you had plans but I just wanted to let my skin breathe and let those products continue to do their thing. I had the Hydrafacial classic which takes around 45-50 minutes but they also have other options including an express which takes just 30 minutes. My face felt so good after the treatment and one quick glance in the mirror confirmed that my skin was 'plumped up' and looking healthier. The next day it was even better, with a clarity and brightness that wasn't there before. As a side note, sorry about the quality of the photos but I couldn't very well hold my large camera over my head to take them so it had to be my phone in selfie mode. 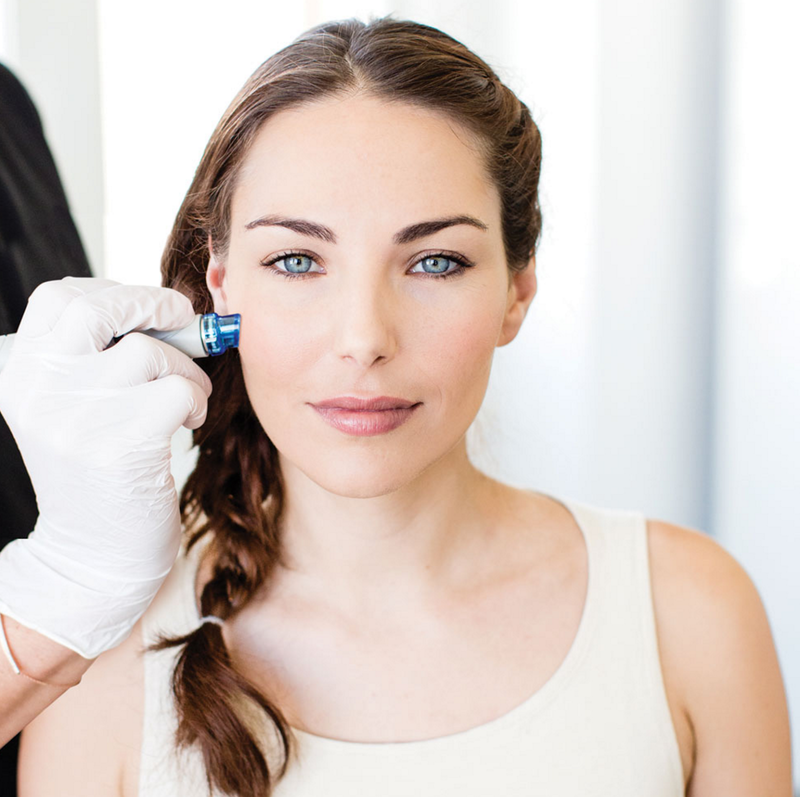 Is the Hydrafacial right for you? In a word, YES. It's suitable for all skin types. 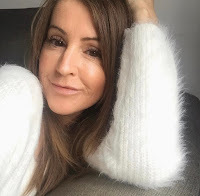 If you have issues like fine line and wrinkles, congested skin, enlarged pores, brown spots and more, not necessarily all those things [although I have every one of them, honestly I do!] then this is for you. If you have a special occasion coming up, this is for you, but more than anything else if you want a facial that delivers results, the Hydrafacial is most definitely for you. I would thoroughly recommend Dr Hill and her team at Hampton Clinic, they're all extremely knowledgeable and friendly and the setting is blissful. They offer a wide range of treatments including anti wrinkle injections, fillers, Coolsculpting (procedure that freezes fat) and so much more. Click here to see what they have to offer you and if you have any questions at all about anything then please give them a call, they'll be more than happy to help. *Thank you to Hampton Clinic for inviting me along for the purpose of this review. All thoughts and opinions are my own. Have you had a Hydrafacial before? You might also like to read: Perk | Cleanse with benefits.